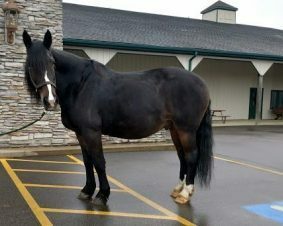 Good manners, an easy-going attitude, and patience are some of the qualities that we look for in our therapy horses. We take great care in selecting just the right horses for our program. Each horse goes through a stringent trial and training period before they are accepted. Currently more than 35 highly trained therapy horses call Fieldstone Farm home. Their breeds include Quarter horses, Haflingers, Appaloosas, Norwegian Fjord, Welsh ponies, miniatures, Holsteiners, Drafts, Paints and Thoroughbreds, among many others. Click on the featured horses below or go to our Meet the Horses page to learn more about them. 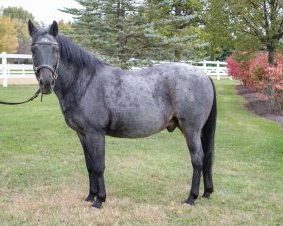 Q: How many horses do we have that are roan colored? A: Two, Blue is bay roan and Pilgrim is red roan. Q: How many horses do we have that mention a type of food/drink in their color description? A: Three, Butterscotch is champagne colored, Nugget is chocolate palomino and Booker is liver chestnut. 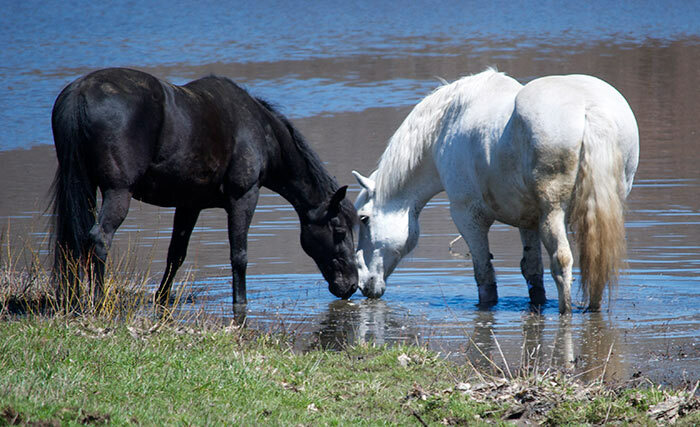 Q: Which horses in our herd are either all or partially of the Percheron breed? 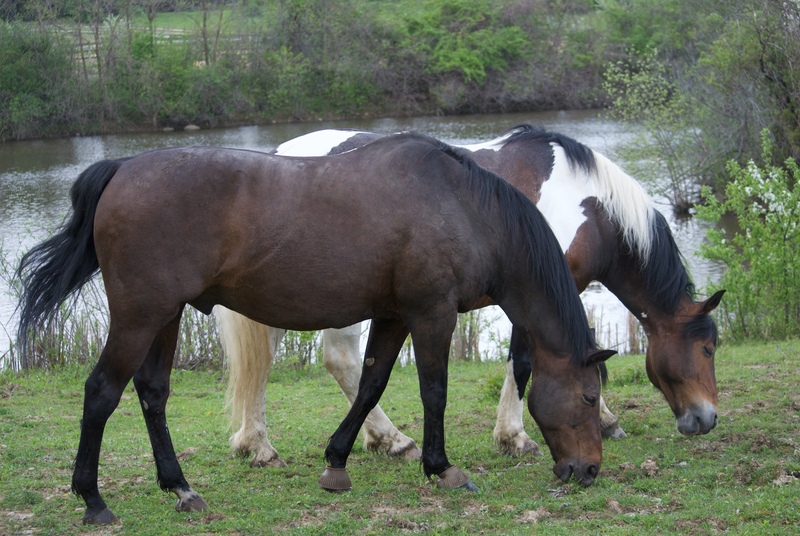 A: Jim and King are full Percheron, Jewel is a Shire/Percheron cross and Simon is a Percheron/Thoroughbred cross.